Whether you’re organising an event, selling boat tours, or you own a reptile zoo in a small pocket of South East England, maximising ticket sales is your number-one priority. You’ve doubtless spent hours trying to figure out how to reach your desired goal, asking yourself, What is it that our audience wants? How do I boost ticket sales without going door-to-door like those briefcase-toting smooth-talkers in the good old days? 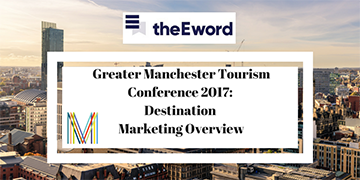 Well, we’ve got some good news: the ‘good’ old days are long gone, and you can now maximise your ticket sales the easy way, using digital marketing tools and a few savvy tricks. 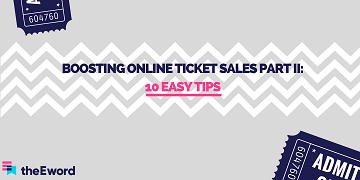 Without further ado, here are 10 easy ways that you can boost your ticket sales. When your sales hit a lull, announce a few discounts to get things pumping again. Keep a keen eye on your sales figures and compare them year-on-year; if you see things slow down (or not pick up whatsoever), it’s discount time. There are loads of offers you can do, like discounts for people buying tickets in bulk, sending out a ‘last call’ email announcing a drop in price, and limited-time discounts for people who buy tickets before a certain time. Your activity will increase and you’ll get the sales-boosts you need. Think about your audience and the kinds of brands that they will engage with. You need to be associating your business with these brands so that you can speak your audience’s language. It starts with building buyer personas. You’ll expand your reach beyond your own audience and potentially into a new market that may not be aware of your business (yet!). Look for partnerships that benefit your audience’s experience, like having a craft-ale pop-up bar at your beard-grooming conference, or a wine bar at the fashion show you’re putting on. Whatever the situation, you can use brand partnerships to form beneficial associations in your audience’s mind. Know your audience, is what we’re saying. Offer a little discount for attendees who share your event on their social media. Whether it’s before the actual event (which will get their friends interested), or after (which will get their friends interested in the next event), your event will seem far more enticing if people know that others are going. Give attendees a promo code upon agreement, and they’ll receive a discount. Simple! 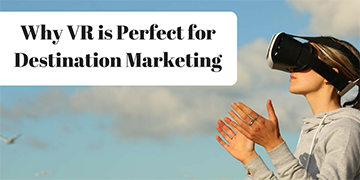 To maximise your efforts in this area, try influencer marketing. Statistics show that 60% of shoppers have been influenced by blog reviews or social media posts, and events work in a very similar fashion. Make sure you choose the right influencer for you, though! Forbes research shows that each business has a 60-70% chance of selling to an existing customer, while the probability of selling to a new customer stands idly somewhere between 5-20%. Take this into consideration and set up retargeting campaigns to close in on people who already know your brand, are comfortable with your brand, and will likely buy from your brand again. With an email campaign that’s targeted at past customers, you’re not only marketing to customers who are comfortable with your brand, but you’re also telling them that you’ve not forgotten about them. At the very least, remarketing is an awareness-booster that reinforces your brand. We spoke about this in another recent post, and it’s vitally important. The architecture of your site is one thing, but the process through which buyers purchase tickets is a whole other ball game. Make it as simple as possible and, if you’re selling an in-demand event, make sure that the buyer’s tickets are reserved while they fill in their details. You want buying tickets on your site to be the easiest thing in the world. You know what people are like these days: you can barely nip to the shops without broadcasting it to the world. You can use this to your advantage by setting up an Instagram contest and giving discounts or prizes to whomever posts the best picture of your event. However you decide the winner – ‘artiest’ post, maybe, or the one with the best engagement – an Instagram contest is a fantastic way to get your audience talking about your business. Again, something like this requires you to know your audience. Is Instagram your best social media platform to utilise? This is something we’ve written about at length. We’re banging on about it, but know your audience and their interests – it’ll help you to take advantage of the great things that Facebook ads can do for ticket sales. You can target people who have shown interest in your brand, or those who have engaged with your business before. There are lots of angles you can take to make your targeting more precise. Think about combining age and gender with where people live, or filter by level of education. There’s no end of possibilities with Facebook ad-targeting. Is it just me whose social calendar is mostly organised by Facebook? Facebook’s event function is an excellent tool that not only notifies you when it’s someone’s birthday (how many times has this saved you from embarrassment?) but it can also be used to notify relevant people about upcoming events. It can be used in tandem with remarketing campaigns, where you can send invites to whichever Facebook users you think are most likely to engage with your brand. Use Google Analytics to learn how much of your audience mostly hangs out on Facebook, and get sending those invites. 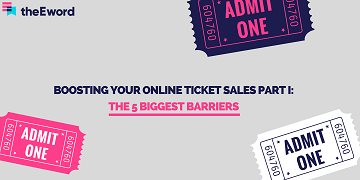 To help you reach your golden number of ticket sales, we’ve created our new guide: ‘How to Use Digital Marketing to Sell More Tickets this Summer’. It has everything you need to know. There’s a lot for you to digest there, so once you’ve had a read, give us a call on 0161 848 4300 and we’ll talk through your options. Or, even better, you can arrange a call with our Director Kleon, who is more than happy to talk about how we can maximise your ticket sales.